While Matt isn't a huge fan of dips, I can't seem to get enough. I recently discovered pimento cheese, but quickly learned that the store bought ones are packed with unnecessary ingredients such as modified corn starch. That being said, I created an Easy Pimento Cheese Recipe to satisfy my cravings, and yours! Go ahead an add it to your snack list for game days. You're Better Off With Homemade Pimento Cheese! I'm sure I don't even need to ask, but which one looks better to you, and do you feel most comfortable feeding your family? Quick To Whip Up, Low Carb Snacks. My favorite part about this recipe has to be how quick it takes to make. In under 10 minutes you can have a delicious, low carb snack, perfect for game night, movie night, the big game or a party! You can serve it with pork rinds, flackers, or my favorite, veggies. Some other great low carb snacks that you can whip up in a flash are our Parmesan crisps, pepperoni chips and healthy egg salad. Whip them all up for your next event! 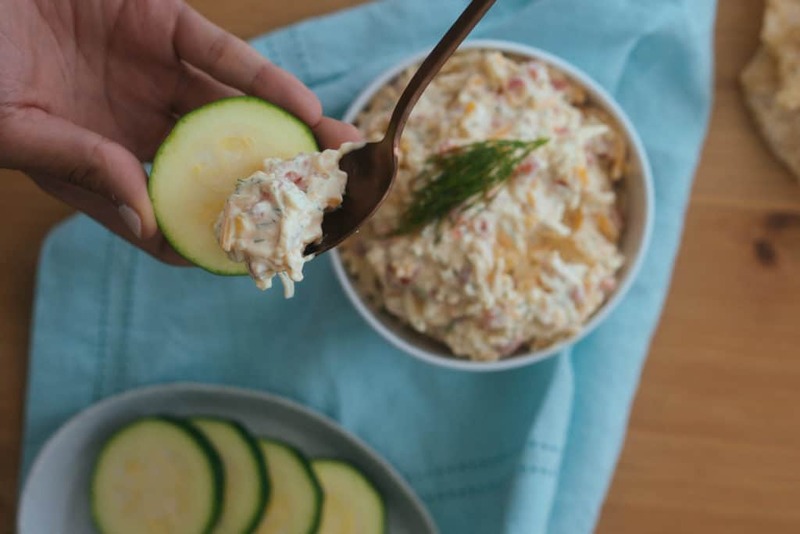 Make This Easy Pimento Cheese Recipe! Even Matt, a hater of anything that involves the use of mayo, enjoyed this dip. He said that the pimentos really changed the game - they add a ton of flavor and some light texture. This recipe will undeniably please everyone in the house from the picky kids to the non-adventurous spouse. 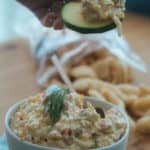 The least you can do is take 10 minutes to whip up this easy pimento cheese recipe and place it on the table to see how quickly it disappears! 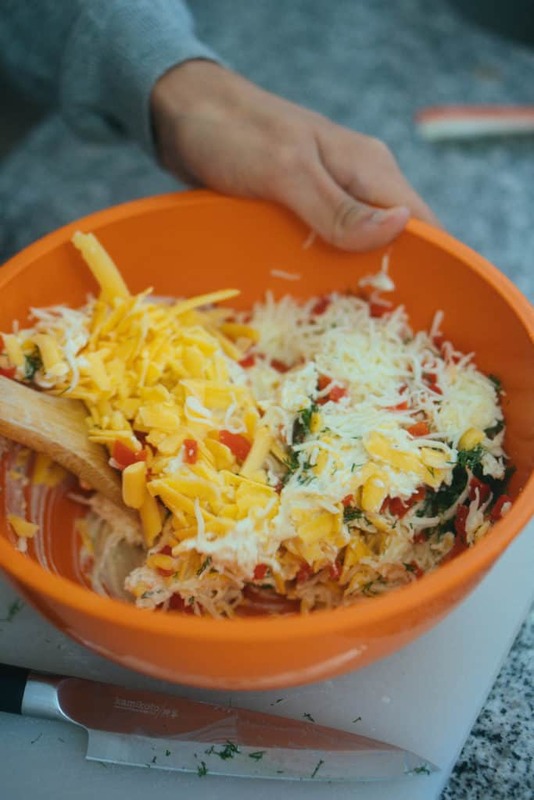 Recipe can be quickly added to MyFitnessPal - Search "KetoConnect - Easy Pimento Cheese"
Combine the mayo, cream cheese, pimentos, mustard, dill, salt and pepper in a large mixing bowl and combine using a spatula. 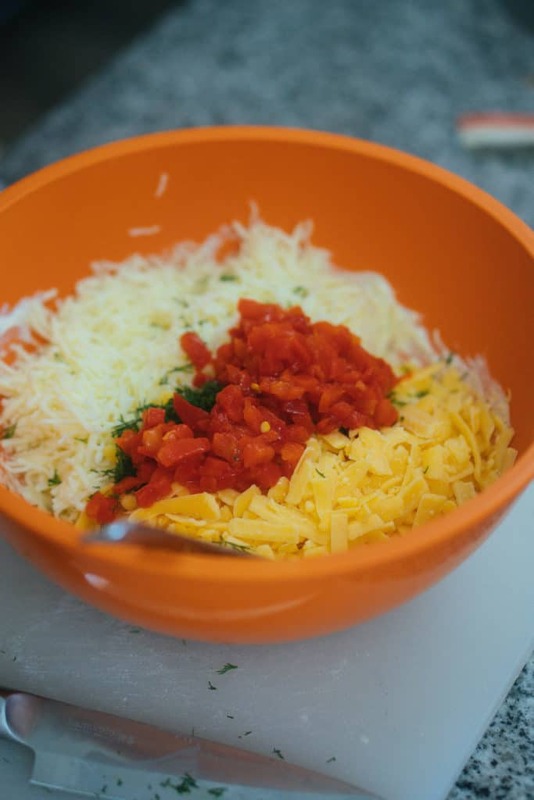 Add in the 2 cups of cheese and combine once more. Refrigerate for 1-2 hours and serve with veggies, pork rinds and/or flackers. Enjoy! Best stored in a zip top bag or sealed container up to 10 days.